Are you suffering from an achy back? Those daily trivial activities can make or break your spine health. Thus, whether you’re a fitness enthusiast, an office junkie, or somewhere in between, there is a solid chance you’ll deal with back pains eventually. 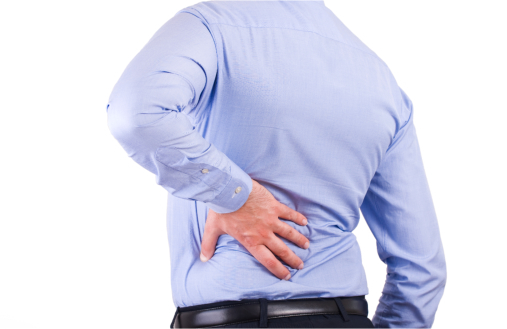 Given their prevalence, back problems are considered stereotypical. However, many providers of health care in California are still getting the knack of providing treatments. Most aches are due to muscle or tendon injuries (strains) or fibrous tissue or ligament damage (sprains). As injuries to these specific areas can’t be easily determined despite diagnostic advances, it remains a challenge for doctors to locate the exact cause of a back pain. While sky-high killer shoes have been a known back-breaker, flat shoes give the same trouble, too. But ladies, don’t frown yet: You can strut in flair without experiencing those back problems! Choose shoes with the best fit and heel/arch support. If you do a lot of walking in a day, find a pair of cute sneakers with shock-absorbing features. Being sedentary can cause tension to your disks and vertebrae. Try not to get pinned down to your office chair. Get up and get moving in every 30 minutes or so to release the pressure. Have a good lumbar-support chair or cushion. Do you know that depression has a say in your back aches, too? Your mental health can affect your physical wellness. When you’re stressed, your body releases a hormone called “cortisol” causing your muscles to tense up. While exercise and physical therapy rehab can really do wonders for your back, keeping a positive mindset and remembering to laugh more often ends the vicious cycle of chronic pain and depression. Slouching in front of a screen for a long time. How long do you sit in front of the computer or slouch in front of your phone each day? Gadget obsessions can take a toll on your neck, shoulder, and back. Instead of hunching over screens most of the time, learn to take breaks and do neck and back stretches. Cigarettes are bad for your health. Other than affecting your lungs, nicotine arrests proper blood flow to your spine and blocks calcium use and/or absorption in your body. This results in brittle bones and weak muscles. Smokers often experience osteoporosis and other spinal health concerns later on in life. So, quit smoking as early as possible. If you suffer from back pain, take heart: Embrace healthy habits and strengthen your back. You’ll less likely to experience the same discomfort within six months. Pros In Rehab offers physical therapy services in San Jose, California. Call us today at 408-399-7054 for more details. Know someone who suffers back problems, too? Give them a heads up for their spinal health by sharing this post with them. This entry was posted in Healthcare and tagged Back Pains, healthcare tips, spinal health. Bookmark the permalink.